In extremis, the British government would have to take ownership of the ultra-sensitive nuclear submarine business of Rolls-Royce. But there’s a better way to reverse the UK aero-engine maker’s near-halving of its share price over the last six months: a tie-up with UK defence contractor BAE Systems. You’d expect the British state to be considering the risks to the Trident defence programme posed by corporate failure at the engineer. But this is better seen as contingency planning than near-term live action. For one thing, Rolls’ problems look fixable. Its markets are soft but are likely to turn around eventually. It may be lacking in its range of engines but that can be put right too. Since Rolls’ business is so closely dependent on maintenance and repair contracts stretching far into the future, there is a knotty bookkeeping problem about ascribing appropriate present-day value. But for now, the base case is that Rolls recovers. If it doesn’t, BAE Systems is better placed to launch a salvage mission. It could stretch its military expertise to handle Rolls’ Trident work on at least a temporary basis. BAE would preserve the commercial tension in the way the work is commissioned, and has pre-existing security relationships with the UK’s Ministry of Defence. An acquisition of Rolls would diversify BAE into civil spheres, and reduce its dependency on UK, United States and Saudi Arabian defence budgets. A merger might give the Rolls business breathing space to bring new engines on-stream too. The catch is that Rolls’ investors might expect a big premium, given the fall in its shares, and BAE may struggle to justify that in the context of likely synergies. The UK government might feel uncomfortably beholden to a single entity. It may dislike the concentration of defence work, and potential loss of engineering jobs. Still, if Rolls does need a new partner, it would be better to be private rather than public. 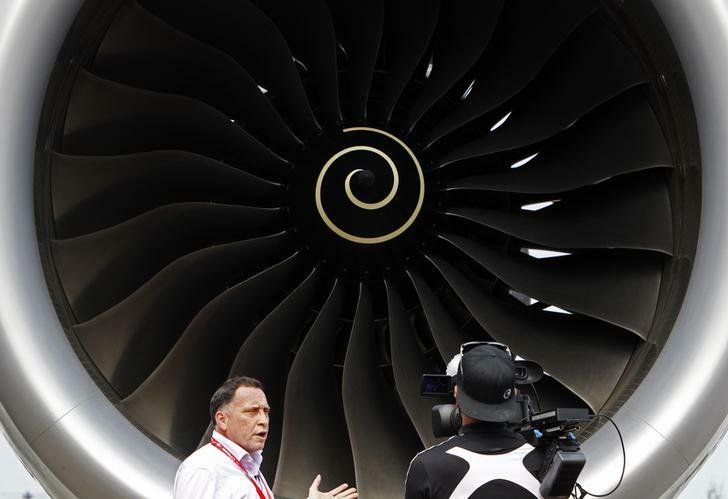 Journalists work next to the Rolls Royce engine of an Airbus A350 on display at the Singapore Airshow February 11, 2014. The UK government is considering taking the nuclear submarine business of Rolls-Royce into public ownership, according to a report in the Financial Times. The activities involve the Trident missile deterrent. Shares in the aero-engine maker have almost halved in value in the last six months as the company published a series of warnings about its future profitability.